The Political Science Department periodically hosts Friday afternoon "socials" at the campus homes of various faculty members. These informal get-togethers offer an ideal opportunity for students and faculty to discuss timely issues of politics and governance and enjoy each others' company at the end of a busy work week. 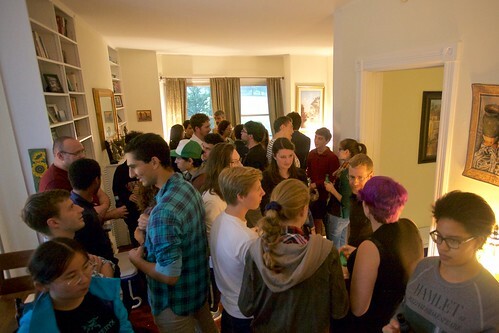 The last social took place at Professor Steve McGovern's home on College Circle in late September.